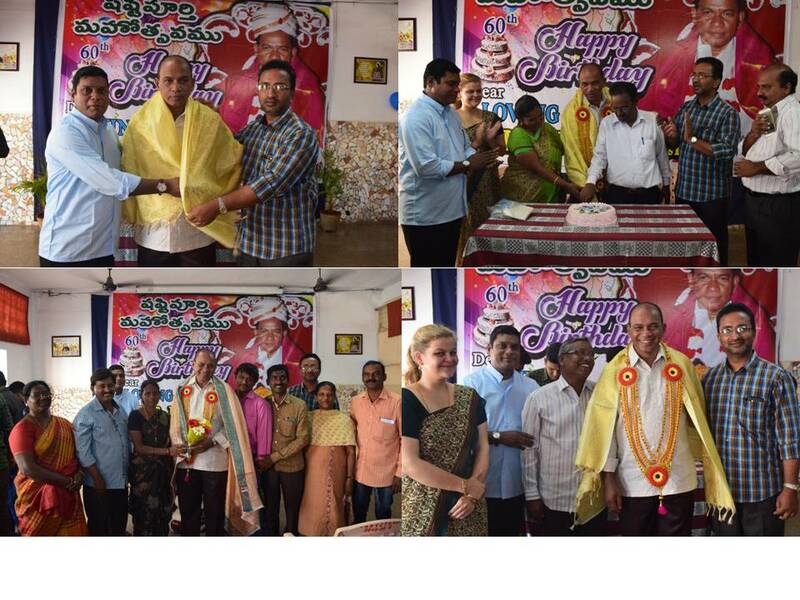 Navajeevan Bala Bhavan, Vijayawada celebrated 60th birthday of Rev. Fr. P. Ignatius on 16th March, 2019 at Yuva Bhavan and Chiguru Children's Village. The birthday celebrations a well prepared with cultural programme of dances performed by the children behind happy memories. During the same programme, Fr. Balashowry, the Executive Director and Fr. Alex, the Director of Education thanked Fr. Ignatius for what he is to the community in particular and organization at large. Speaking on the occasion, Fr. Ignatius thanked the members of the community, staff and children for their love and concern. The presence of a staff and children added more joy to the day.